Building a route to market is fundamental to sales and survival. Economic activity in business-to-business (B2B) routes to market to reach end consumers accounts for as much as 45% of the USA’s gross domestic product. Implementing an effective channel strategy is an ongoing challenge in a broad set of consumer, business, and non-profit contexts. This book demystifies marketing channel strategy by focusing on how to do channel design and management. Channel management goes beyond consumer advertising and retailing to study how organizations make products and services available to intermediary firms at the right place and time as well. We provide practical tools and frameworks for key decisions and highlight the critical tradeoffs and pitfalls in channel implementation. Our focus is not merely on informing, but also DOING channel strategy. Many channel strategies are built like the wood towers used in popular stacking games. You hope your tower is sturdy and strong. But over time, you may replace or add partners, add or subtract routes to market, and change your product lines – so your channel strategy must adapt in order to prevent your tower from collapsing or breaking apart. 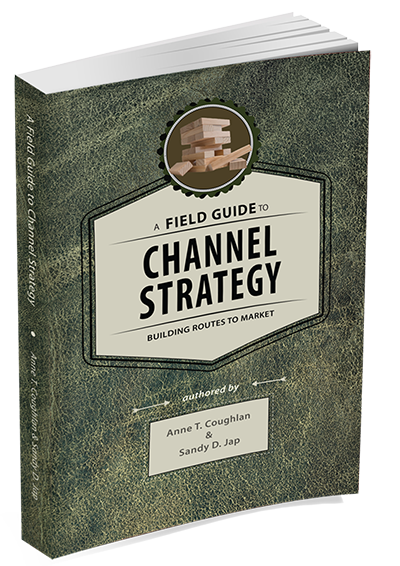 The Field Guide to Channel Strategy introduces you to the channels landscape, helps you understand your building block options, and unpacks the physics of adding and subtracting channel components, to give you the tools you need to keep your go-to-market strategy resilient, responsive, and a source of competitive advantage.